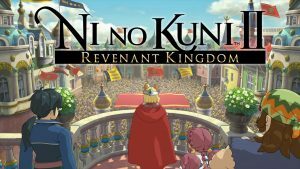 Ni No Kuni 2: Revenant Kingdom will release on PC on the same day as PS4 version later this year. Surprisingly, considering the first game was a PS3 exclusive. The game is a traditional RPG with all the positives and negatives, and with a big draw being that the art direction is headed by famous and respected Studio Ghibli. The original game followed a boy being transported to a magical world and helped by the magical kin. However this game seems to be the inverse, a boy king from the magical is helped by a stranger from another world to fight evil and rebuild his kingdom. While the first game had a battling sub system simular to that of Pokemon (aka catch a beast and make it fight for you), this game seems to have one that is similar to Pikmin, or for us PC gamers: Overlord, where you command a swarm of elemental, small minions that you make swarm the enemy. So far no word on the date, price point or even the platform (Steam, Origin, Windows Store etc.). And the hope is that to port is good and it avoids the problems of the first one, like the grinding and that almost 9 hours in, you discover that you are only 3% done with the game.